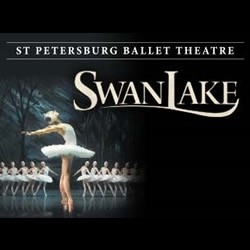 Enjoy one of the world's best-loved ballets Swan Lake with outstanding Russian ballet dancers. In New Zealand for the first time in 15 years, the St Petersburg Ballet are taking to the stage with Sawn Lake. Telling the tale of two lovers torn apart by a villainous sorcerer, and backed by stunning music by Tchaikovsky this is one of the world's best ballets performed by one of the world's best companies.